The Hasankeyf Workshop - Hasankeyf Atölyeleri is an initiative to socially empower women of Hasankeyf in eastern Turkey through art workshops to express themselves and communicate the cultural heritage of their, historic village. Despite Hasankeyf’s cultural significance, it is under threat because of the Ilisu hydroelectric dam that most likely will begin operations in 2018 flooding the entire area and disrupting its social cohesion.The project has evolved into an opportunity for self-expression of the women, inspired by the everyday life and the timeless values of Hasankeyf highlighting, at the same time the social, gender and financial problems they face. Özgür Kadın Kolektifi (Free Women's Collective), is based in Batman and aims to promote solidarity among women. 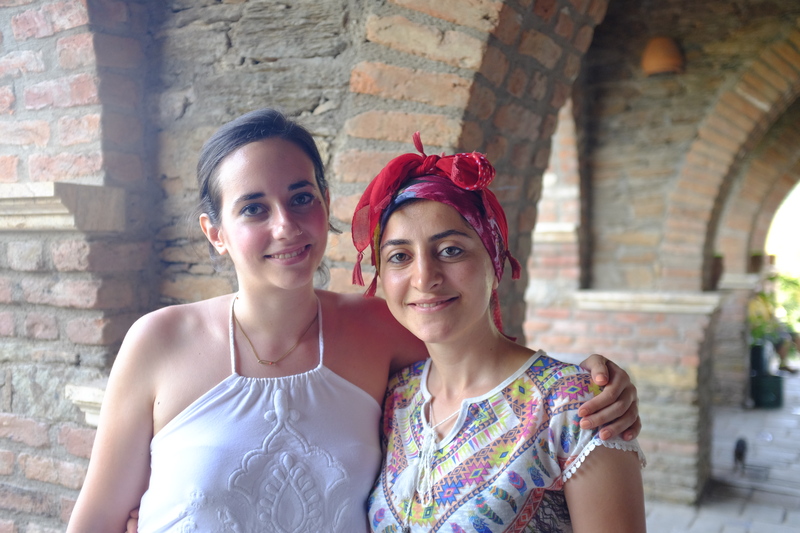 Özgür Kadın Kolektifi works to reach out as many women as possible and promote collaboration and support among women, by coming together and organizing activities that make this solidarity evident for all women. πeripatos specialises in the field of cultural heritage management providing services to cultural organisations. With the appropriate know-how and experience, we propose new approaches for the participation in and the dissemination of cultural heritage. Our goal is to raise awareness and to actively involve various audiences in cultural assets and events.